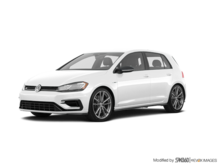 Home > New Vehicles > Volkswagen > Golf R > 2018 > 2018 Volkswagen Golf R DSG w/ Alloy Wheel & Drivers Assist Pkg. 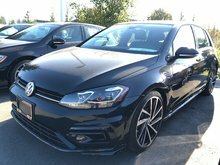 2018 Volkswagen Golf R DSG w/ Alloy Wheel & Drivers Assist Pkg. Breathtaking. Exhilarating. Astonishing. 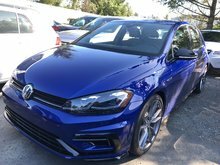 Behold the quintessential, spine-tingling joyride behind the wheel of the 2018 Golf R. Accelerate masterfully into every twist and turn with pure muscle primed for performance. Get added control with 4MOTION® All-Wheel Drive grip, lightning-fast paddle shifting, and tri-mode Dynamic Chassis Control. With innovative technologies that are circuit-board smart and race-circuit inspired – from premium audio, to first-class multimedia and navigation. All imbued with unequivocally assertive, sporty styling and impeccable fit and finish. And bundled with an arsenal of equally nimble safety systems and driver assistance features, offering added reassurance to help you keep your cool – at a heart-quickening pace. 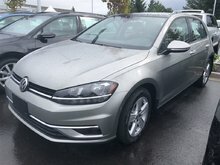 Key Features: 19” Spielberg Alloy wheels, Volkswagen Digital Cockpit (instrument cluster), Climatronic dual-zone electronic climate control, KESSY – keyless access with push-start button, Start/Stop Technology, Body coloured rear spoiler, Adaptive Cruise Control, Blind Spot Detection with Rear Traffic Alert, Front Assist - Autonomous Emergency Braking with pedestrian monitoring, Lane Assist, Light Assist (High beam control), Park Distance Control (PDC), Front cornering lights , LED daytime running lights, LED headlights with Adaptive Front-light System, LED tail lights, Ambient interior lighting, Leather wrapped multifunction steering wheel with paddle shifters (DSG), App-Connect smartphone integration, Bluetooth mobile phone connectivity, Fender® Premium Audio System - 8 speakers plus subwoofer, 8.0'' touchscreen infotainment system with proximity sensor and CD player, voice control satellite navigation and 2 SD card slots, USB audio input, Leather seating surfaces, heated front seats, power adjustable and heated exterior mirrors with turn signals, rain sensing wipers, rearview camera…and many more options. QUESTIONS? 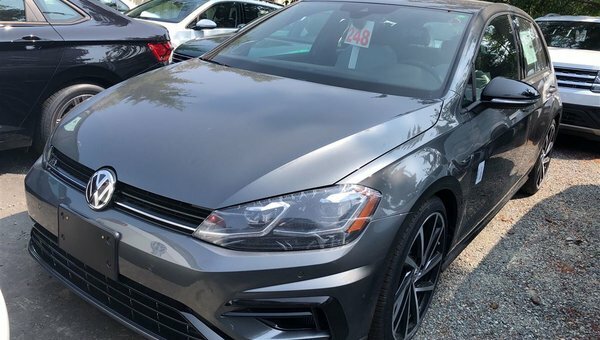 TEXT 778-949-9028 to hear about more of the features on this 2018 Golf-R.